I think I secretly envy surfer chic and beach bum girls pulling off their tan last summer. Although I love their sun-kissed skin, perfect with their beach wave hair, the look is just not for me. I was able to prove this after soaking in the sun at the Puka Beach, Boracay last summer--and nope. I need to get my color back. 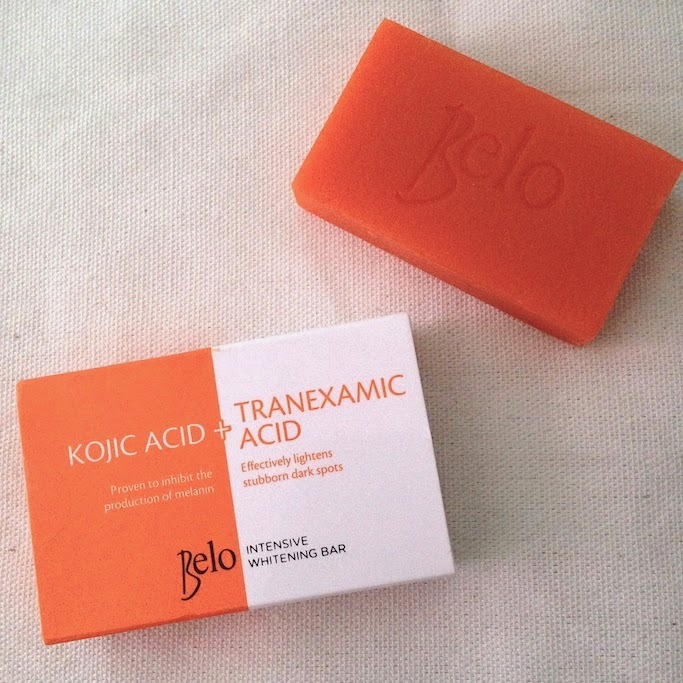 Then I encountered this new skin lightening soap from Belo: The Intensive Whitening Bar (Kojic Acid + Tranecamic Acid). At the mention of Belo, I am assured of the product quality, I think Belo has established their name as a trusted and reliable brand when it comes to beauty and skincare. "If it comes from Dr. Vicki Belo, it must be effective." We all know about Kojic Acid, which is an organic compound that inhibits the production of tyrosinase and melanin (what gives our skin color). But the second main ingredient of the Belo Intense Whitening Bar--Tranexamic Acid--is new to me, so I did a little research. Tranexamic Acid is a peptide proven to inhibit inflammation and melanin formation. 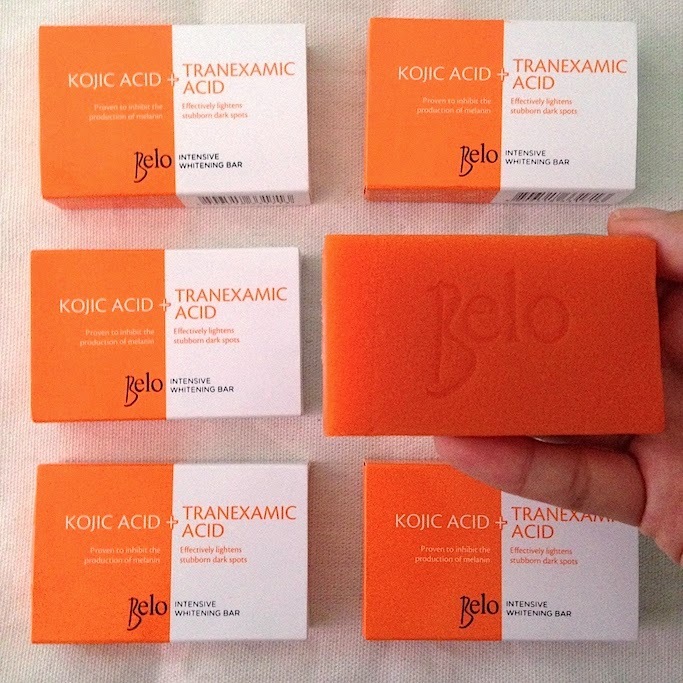 It is ideal for stubborn dark spots that do not respond to other skin lightening ingredients--making Belo's product 64% more effective than other skin lightening soaps with just Kojic Acid that only prevents darkening. TA lightens and evens out what is dark already. "Tranexamic acid evens out the skin tone and reduces melanin production by 32%. It is also a tyrosinase inhibitor which further slows the production of melanin within the skin reducing dark spots and evening out pigmentation." I use the Belo Intensive Whitening Bar everyday for my body at around a week already, but it can also be used for the face. I noticed how my stubborn weird swimsuit tan lines were barely even visible. I also like the feel of foamy lather with the yummy scent, which is not usual in other Kojic soaps. In my case, this soap doesn't dry the skin but it is still best to use skin conditioners or body lotion after use (to be sure). Belo Intensive Whitening Bar (P59.75/ 65g) is available in all leading supermarkets, department stores, and drugstores nationwide. After using kojie san , I used this for a month and somehow when I look at my shoulders , they look whiter.